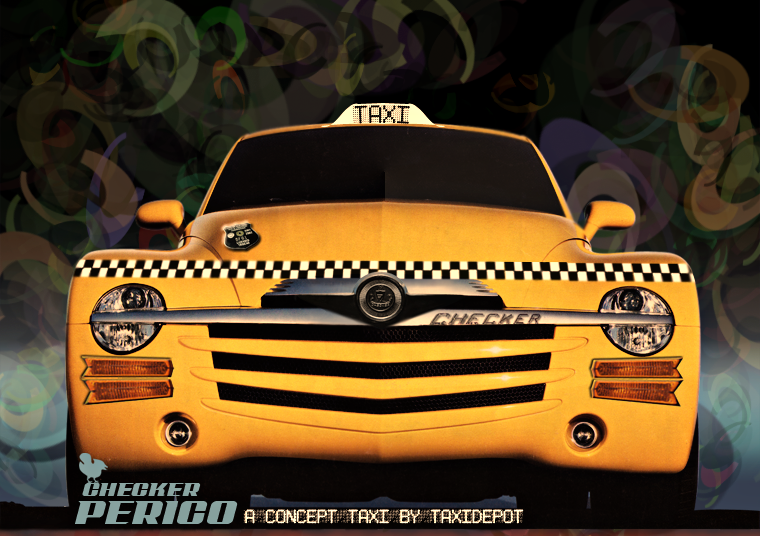 Taxidepot's concept taxi is an extension of the excitement about the taxi of the future for New York. Our dream cab for New York city should resemble the proportional ratio of interior space and overall size of a London cab, this would set the right dimensions to seat 4 passengers with royalty-legroom, and up to 5 persons ride in great comfort. At the back, one long backseat will fit 3 of them; facing this, 2 retractable chairs will seat two more passengers and encourage conversation among them; a big door to pass through with big luggage and of course a wheelchair just as the London cab does. A generous sunroof inside the passenger cab is a must-have for the appreciation of the vertical landscape, and there should be no doubt about it. About the car itself, we know we need a "green" engine which doesn't have to move the cars faster than 70 mph, and efficient enough to move a light and impact-resistant body and all the crew in it without stress. The transmission and suspension has to be military grade of course, and WiFi must be standard. Since 1887 Halda commenced the production of its famous precision devices in Sweden, and soon quality was recognized around the world in all the lines of Watches, Typewriters and Taximeters. Check out this mesmerizing video about the good old times.